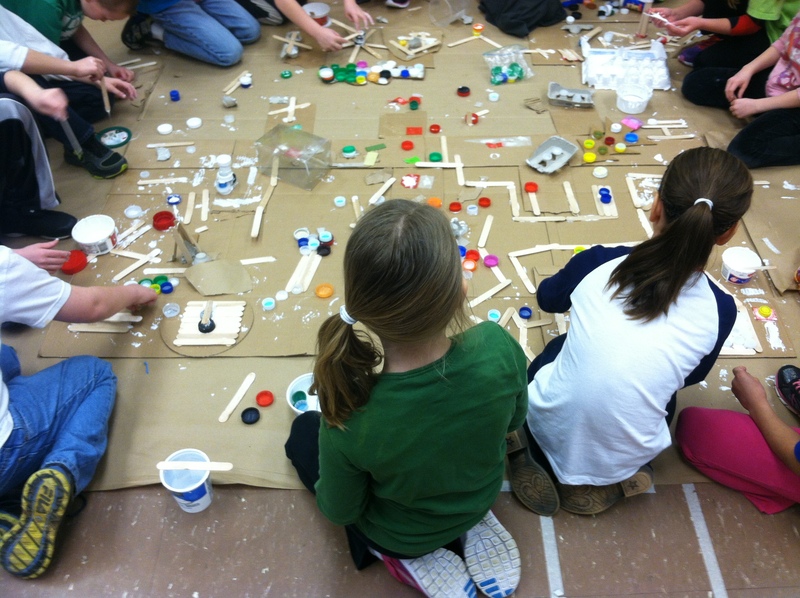 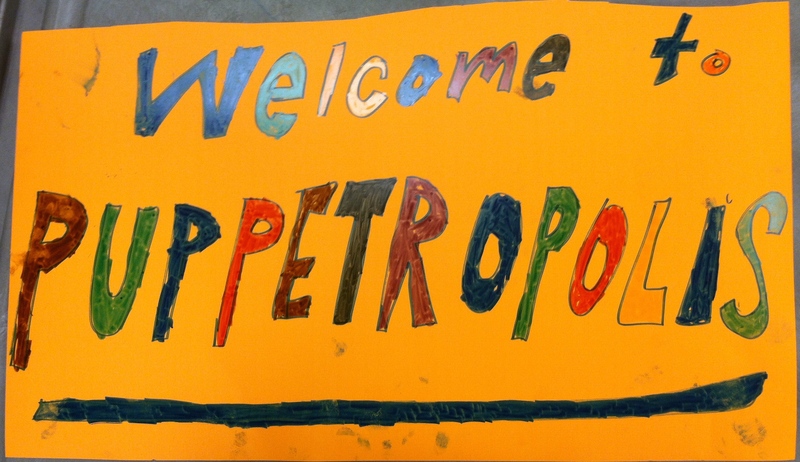 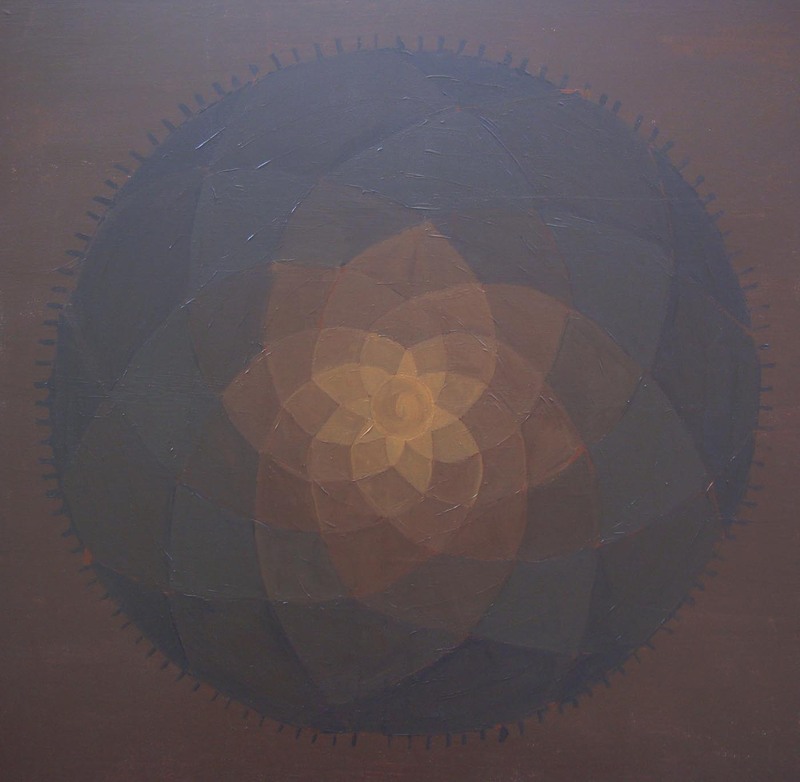 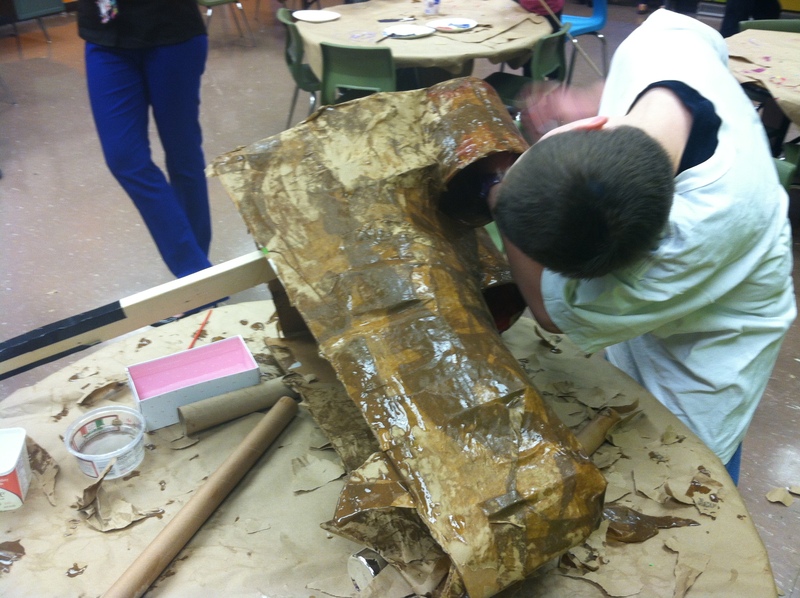 Spring 2014, Twelve-day residency at an elementary school in Western Pennsylvania. 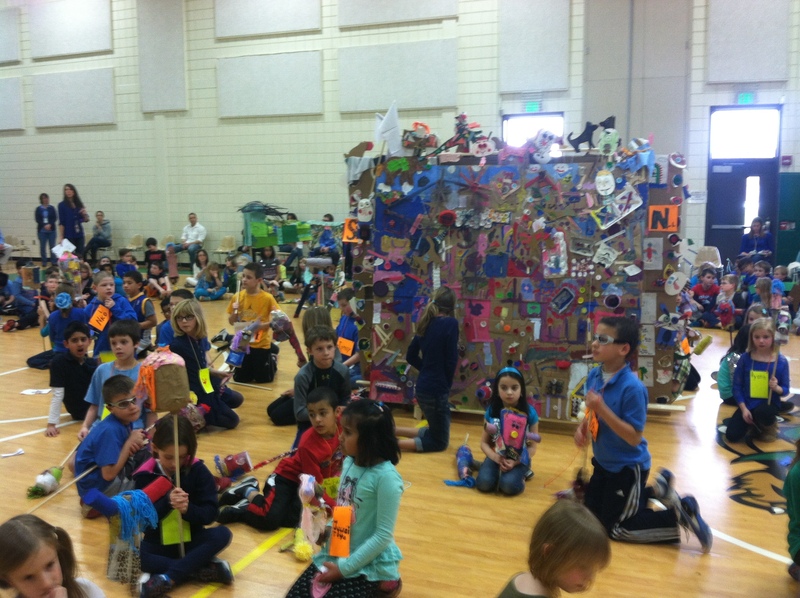 I worked with 200 second grade students to create and perform a puppet pageant. 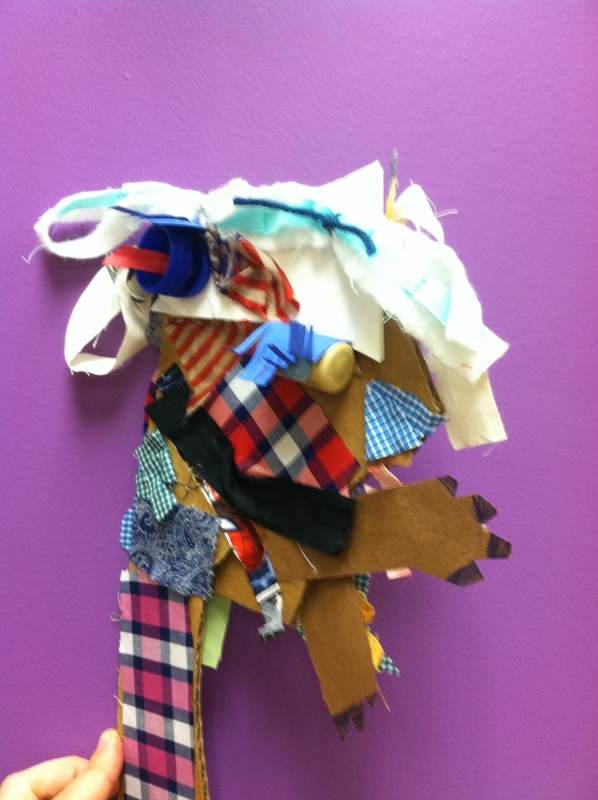 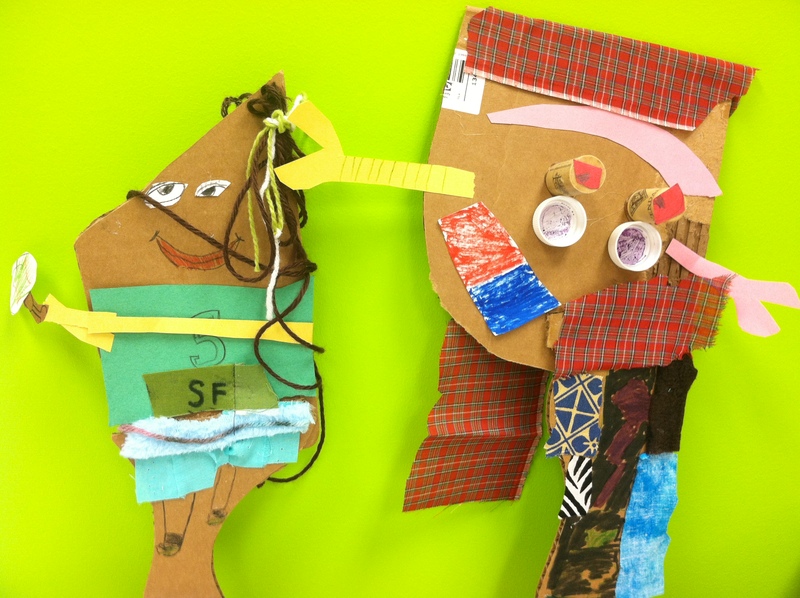 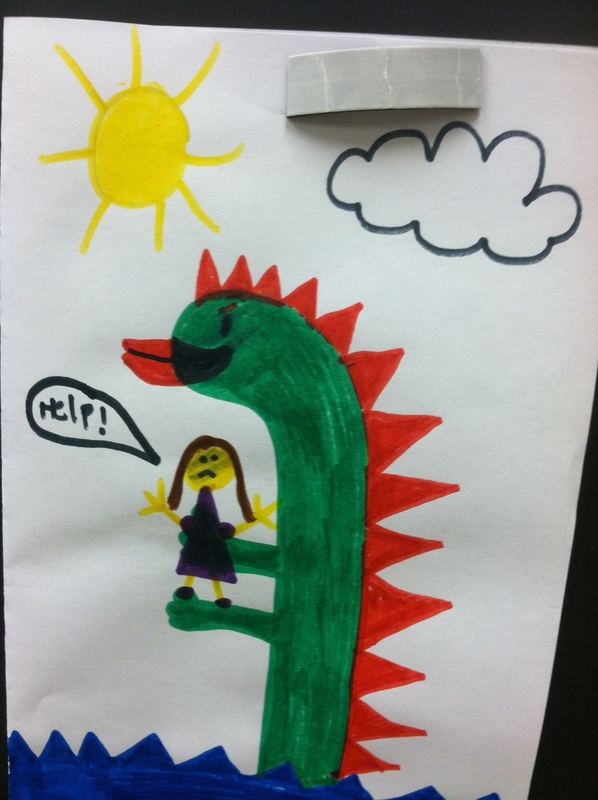 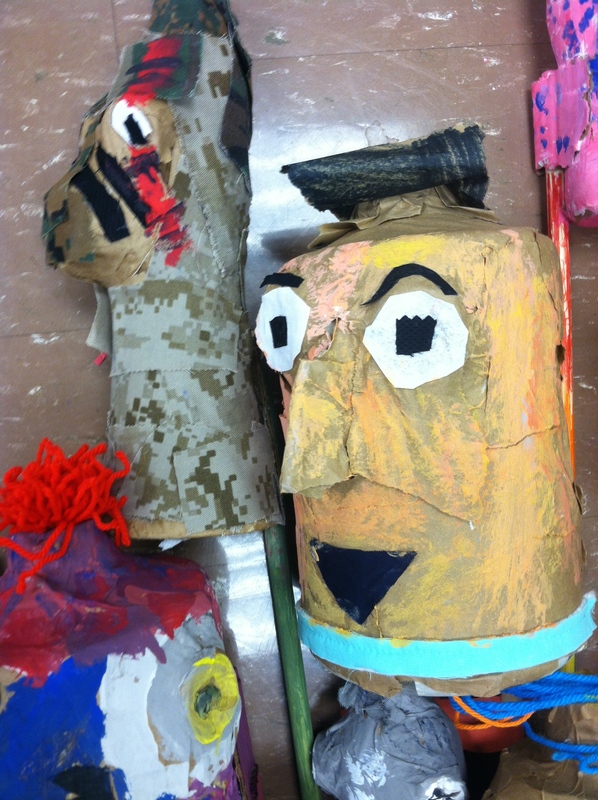 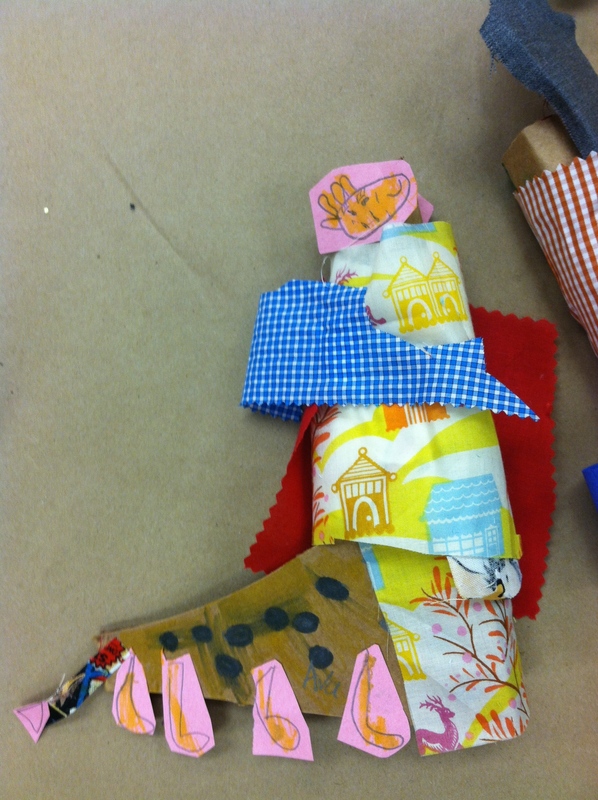 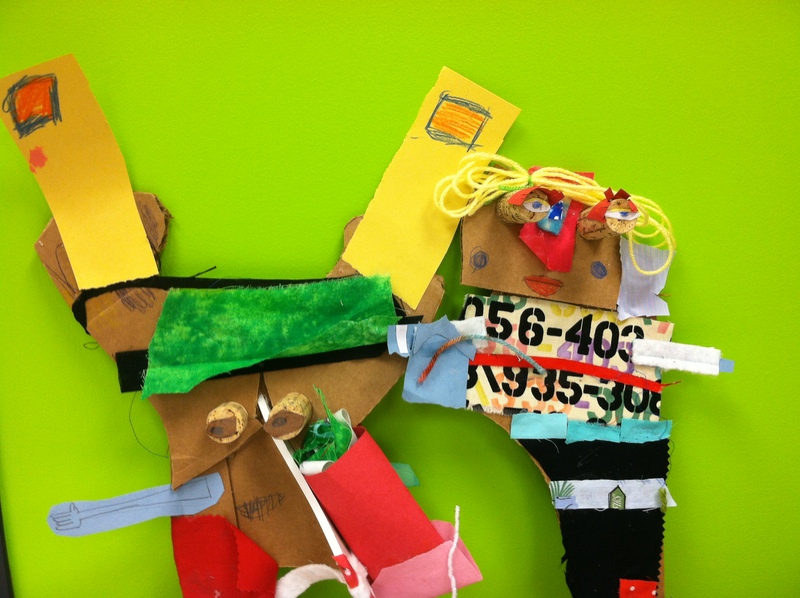 A core group of 60 students made sketches for puppets to appear as main characters in a show. 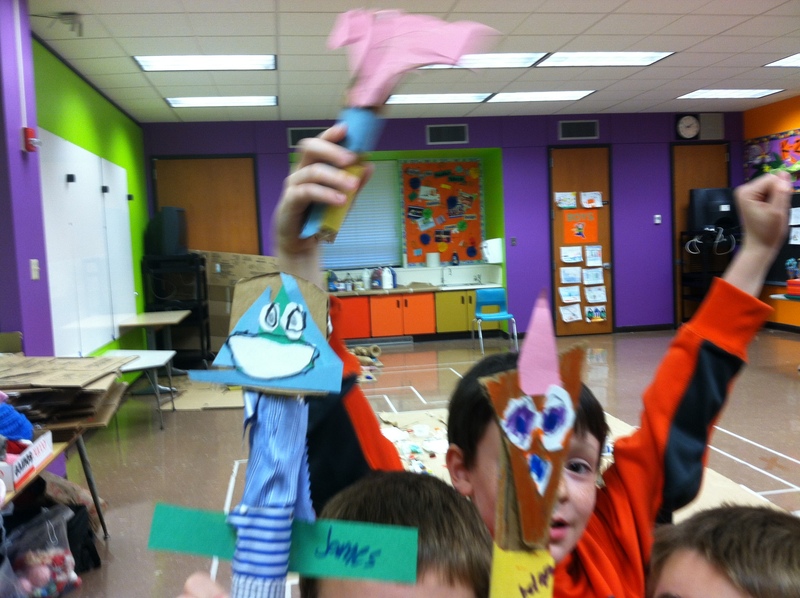 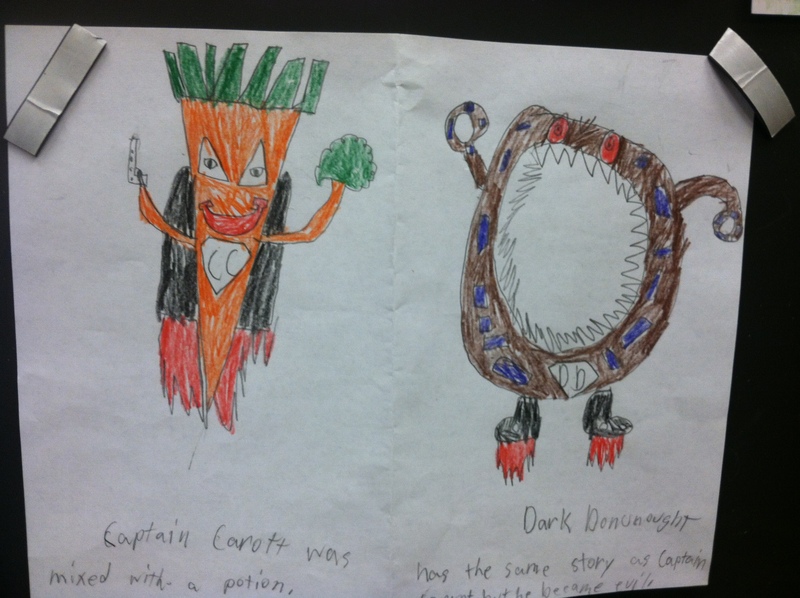 Many of the students created puppets based on foods. 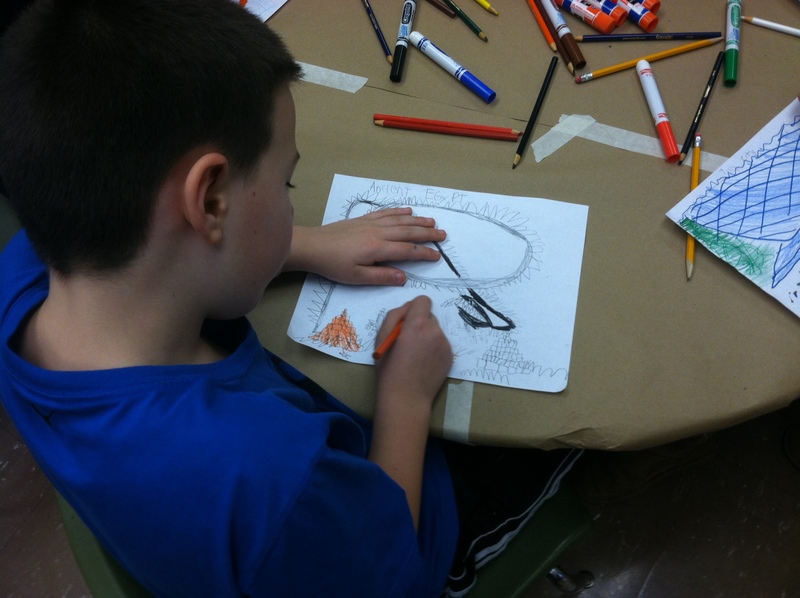 A student sketches his idea for the puppet show. 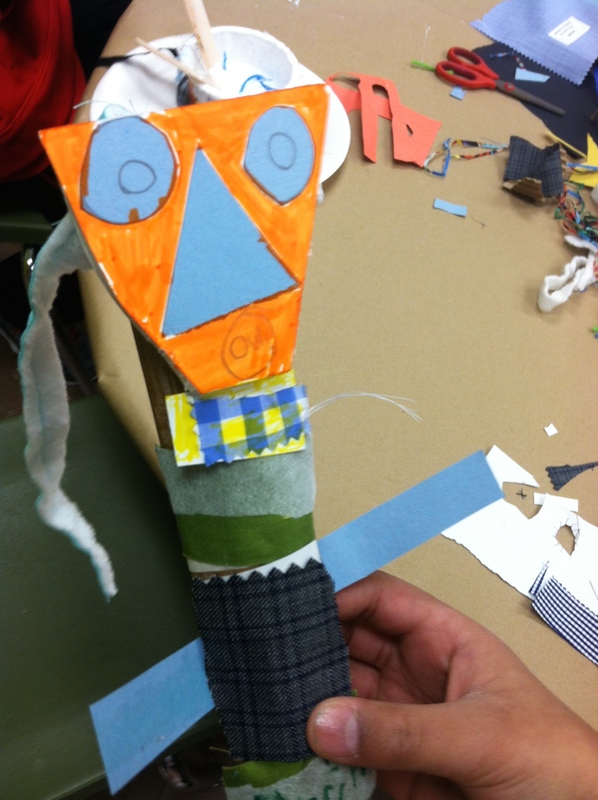 Students who were not in the core group still experienced a puppet making session. 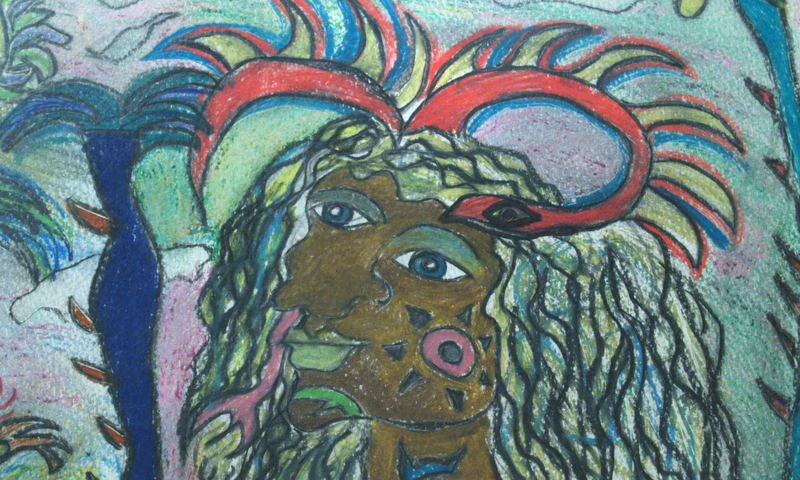 Their resulting works appeared in the final pageant. 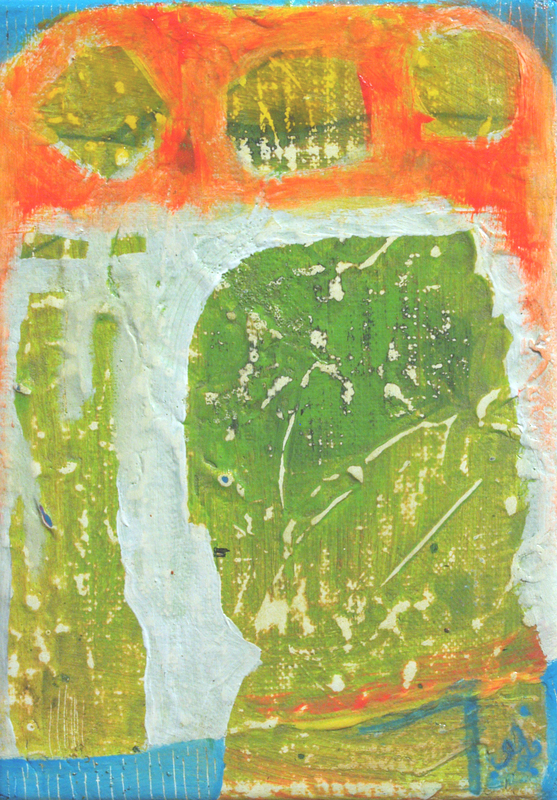 A painted sketch for the puppet pageant scene. 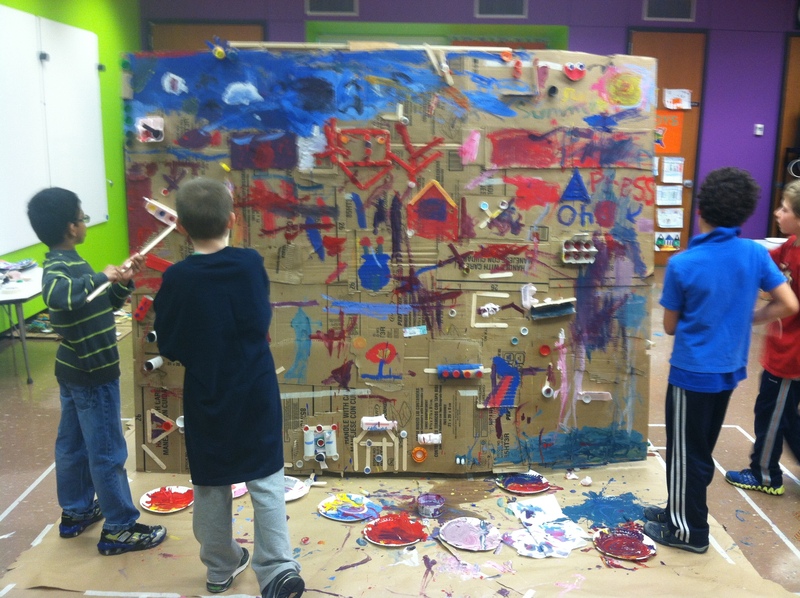 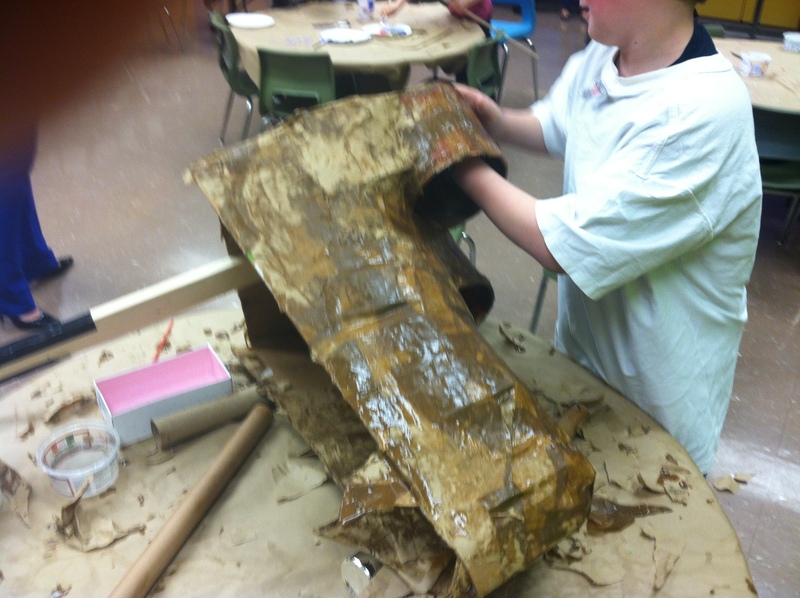 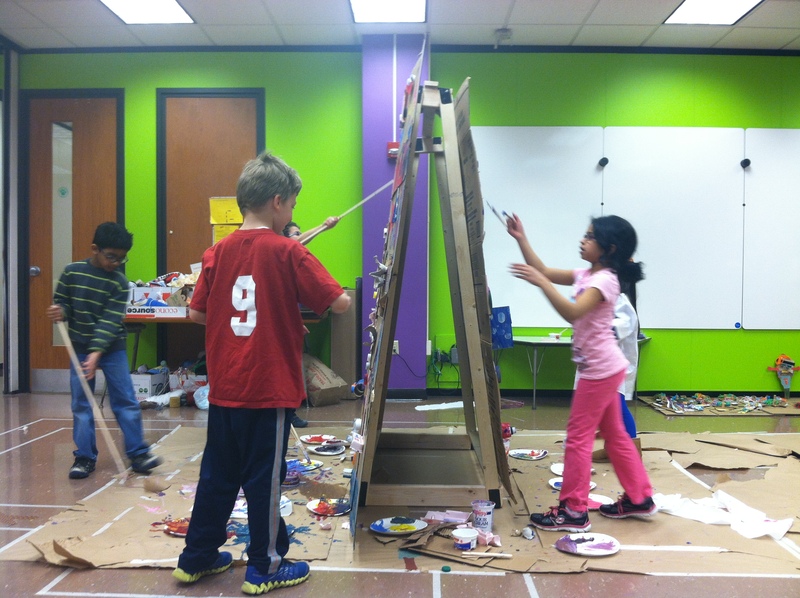 Creating a giant puppet with cardboard and papier mâché. 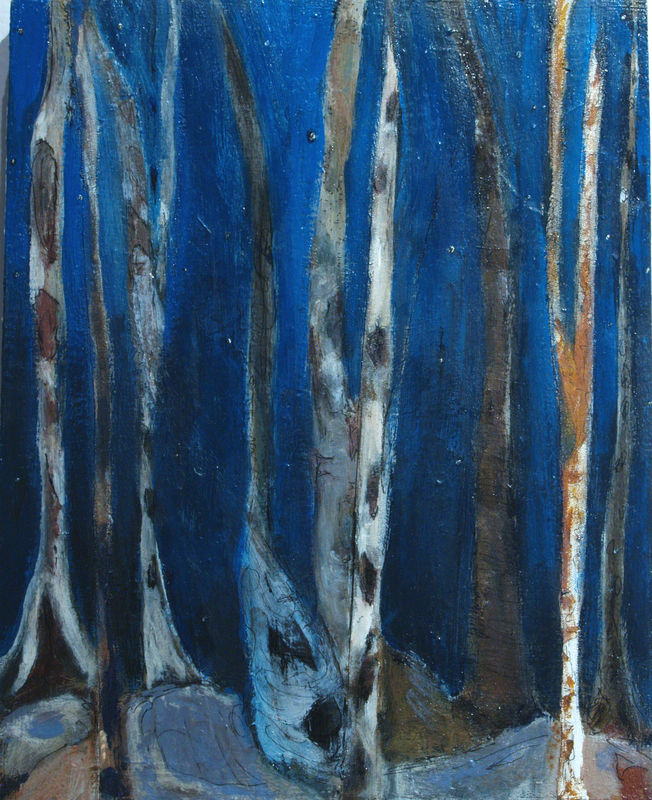 Adding texture to the background scenery. 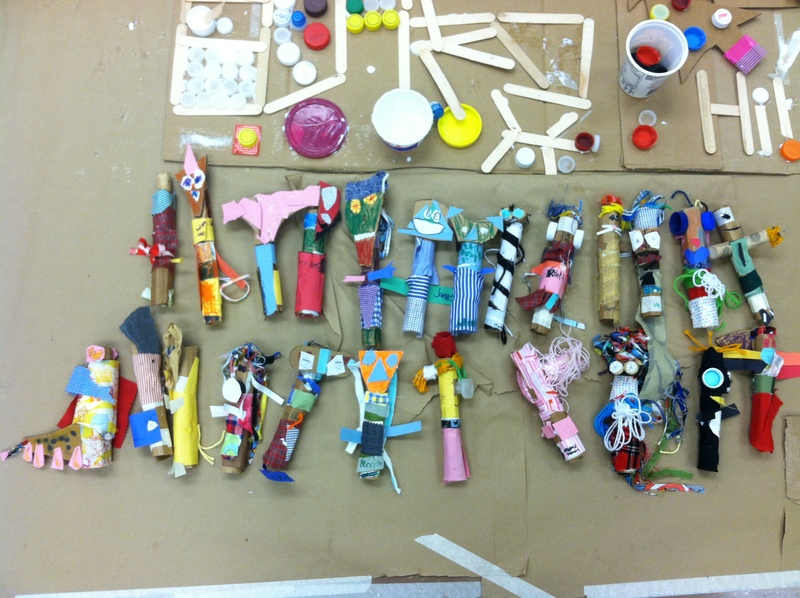 Some of the classrooms made finger puppets for the pageant. 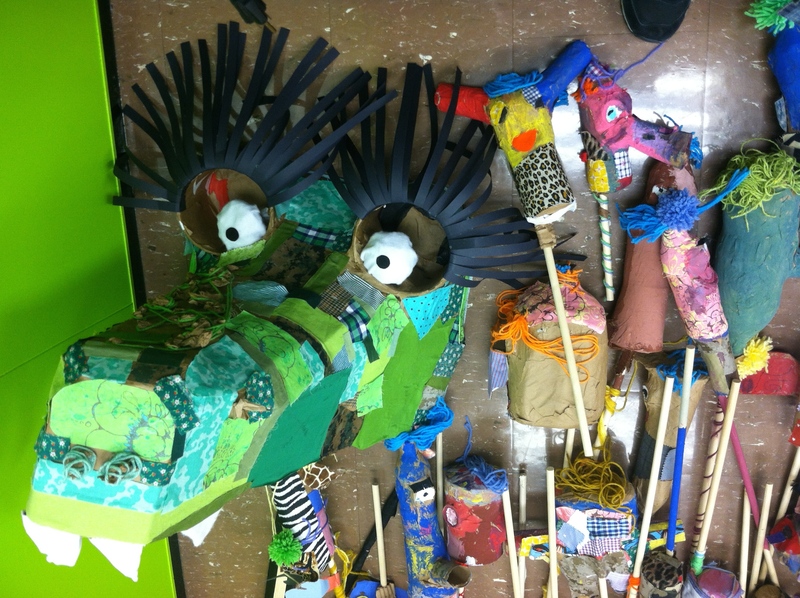 A collection of big puppets. 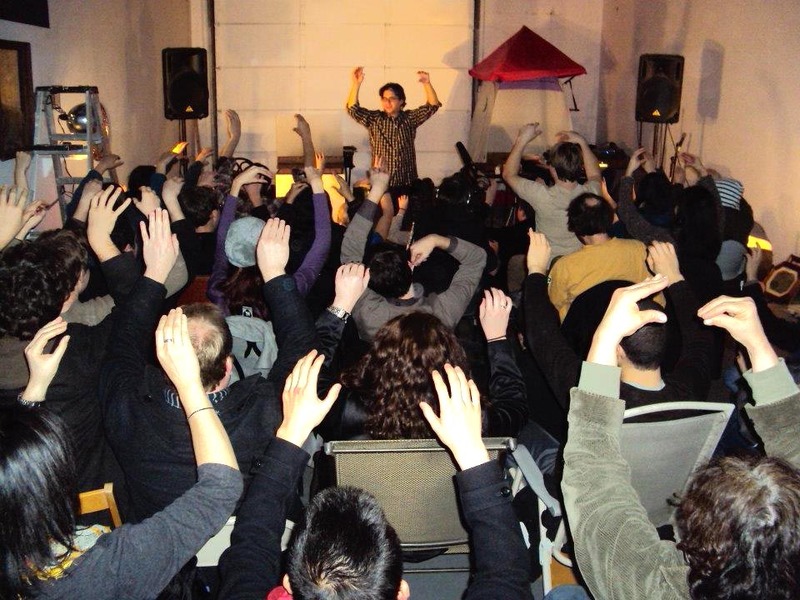 A big crowd for the final performance. 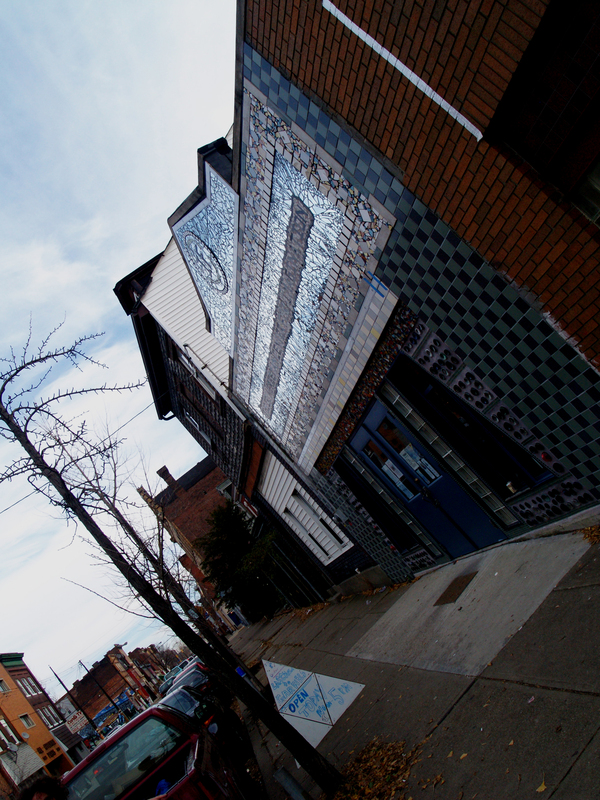 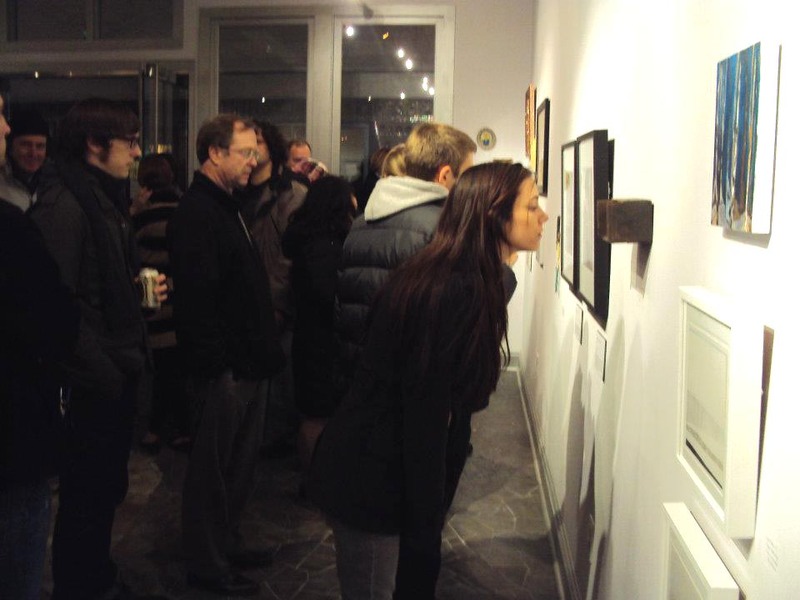 December 2011, Curated show and performance night, Lascaux to Garfield at Irma Freeman Center for Imagination. 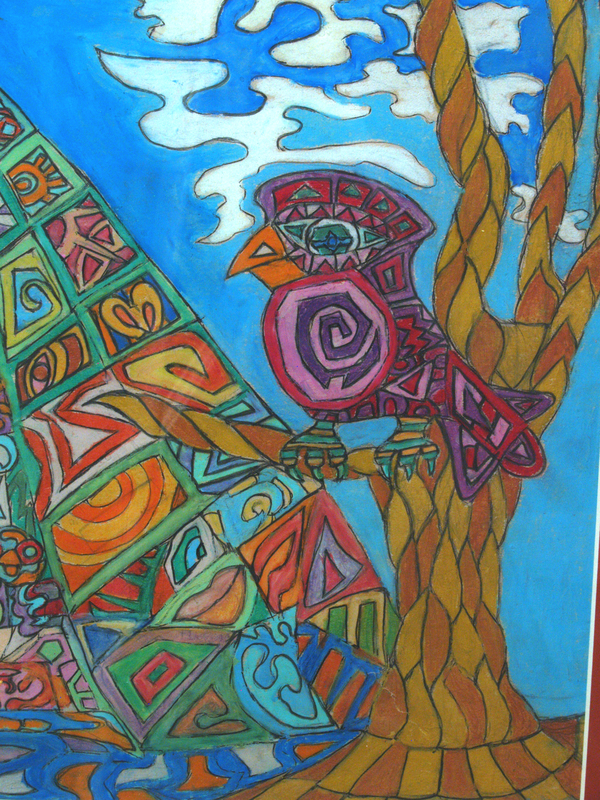 Below are works that were on display at the Lascaux to Garfield Art Salon. 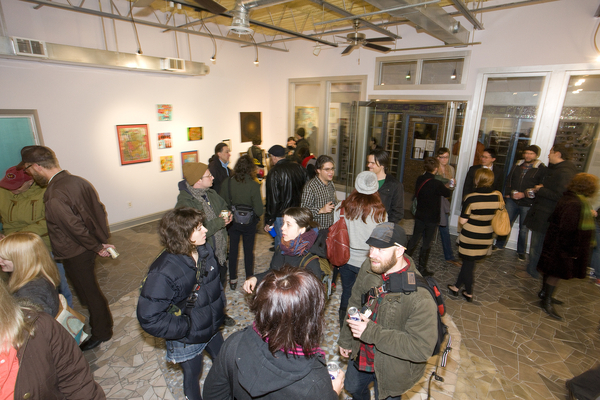 The show ran December 2nd & 3rd 2011, Irma Freeman Center for Imagination, Garfield, Pittsburgh. 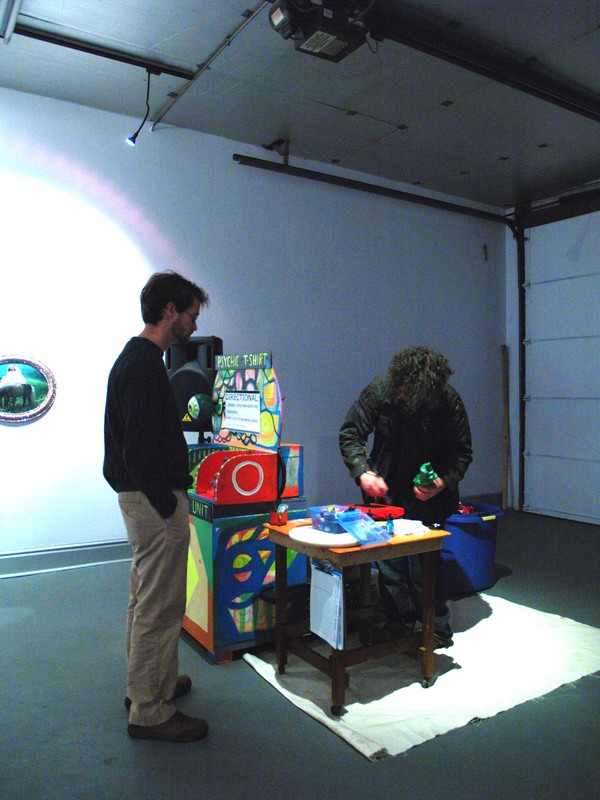 The mini-festival event included a Puppet Happening cabaret, Friday Night Puppet Live. 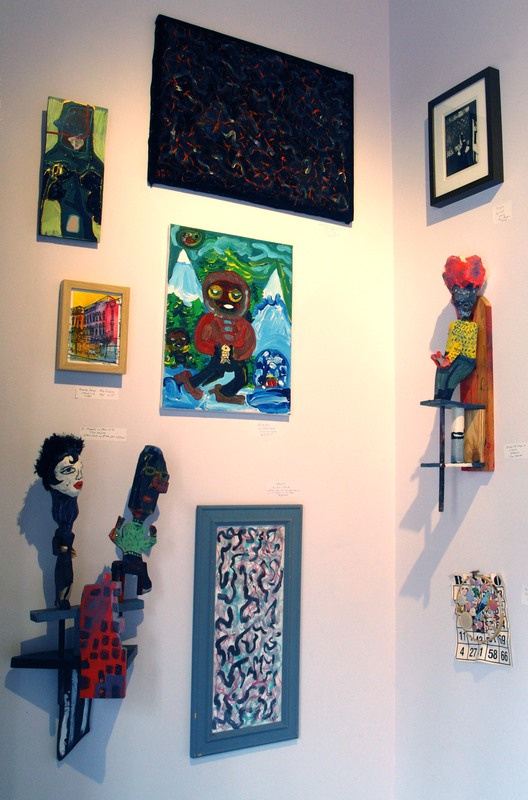 Gabe Felice presented an assortment of paintings and painted wood gadgets. 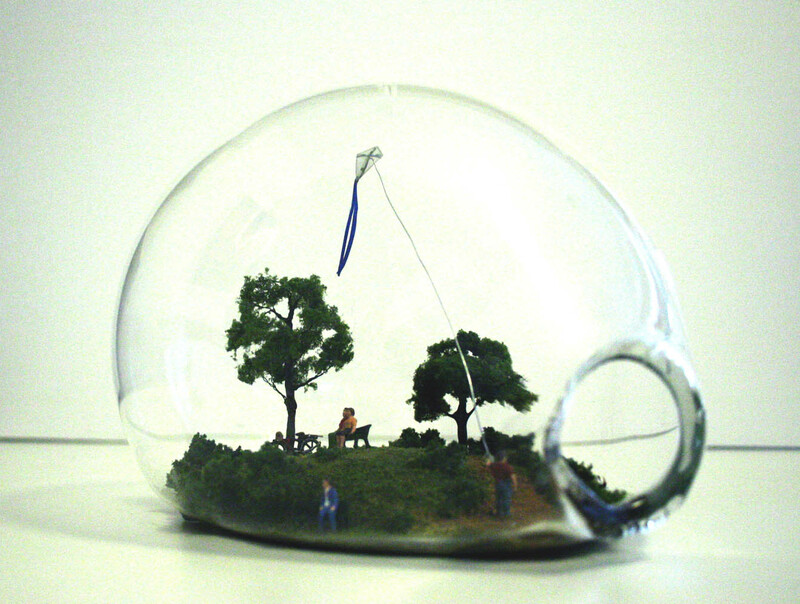 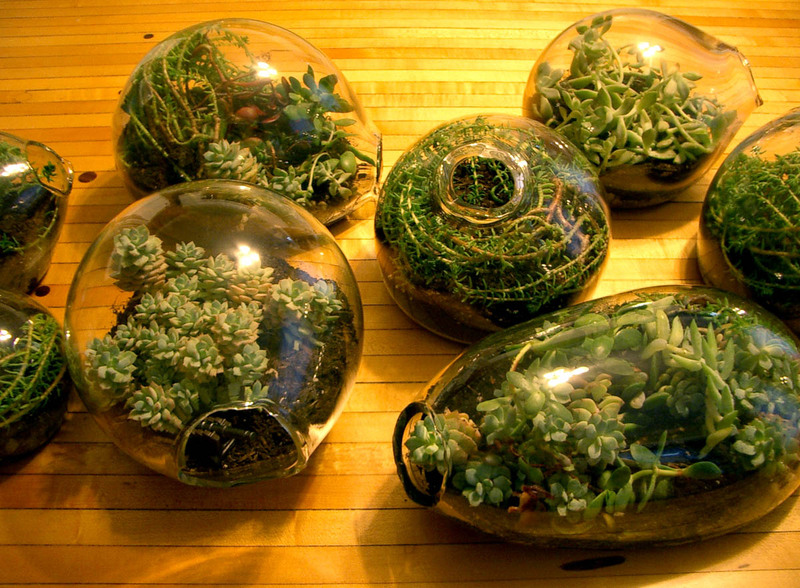 Glass artist Lindsay O’Leary played with themes of size and scale in presenting a collection of hand-crafted terrarium environments. 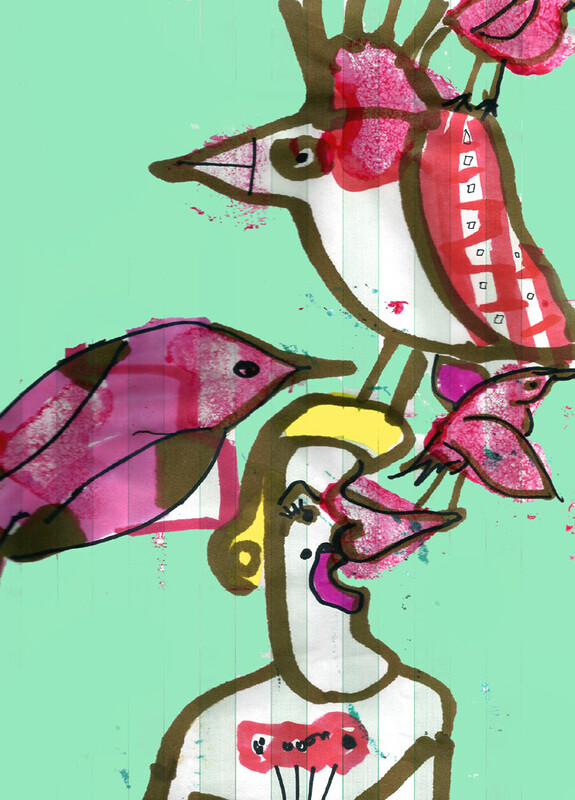 Using the medium of serigraphy, Jessica Scott celebrates expected and unexpected views. 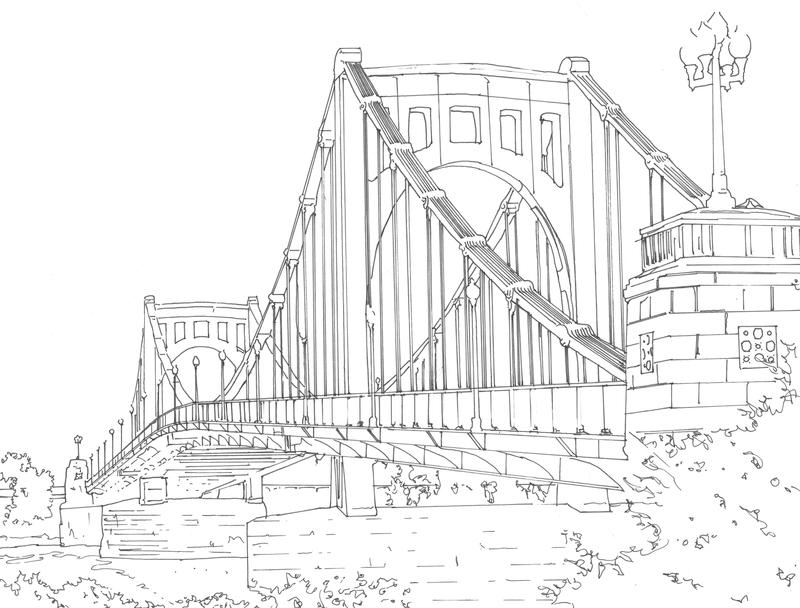 Her works utilize delicate line to describe the magnificent structural qualities of Pittsburgh bridges. 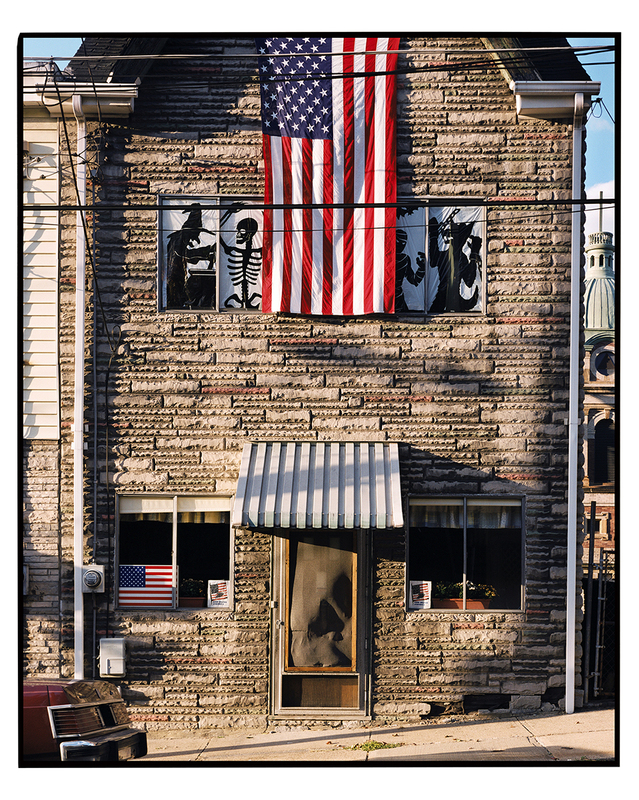 After 9/11, Photographer Larry Rippel was struck by the proliferation American Flags throughout Pittsburgh. 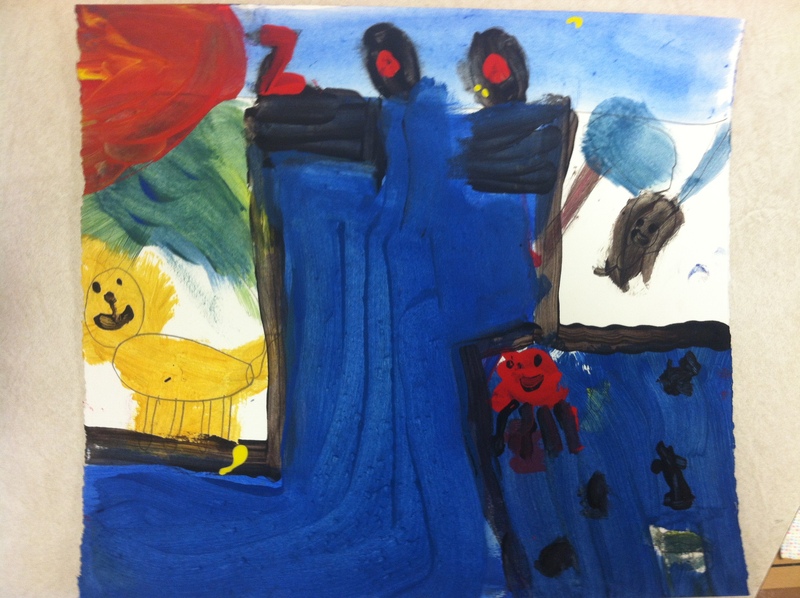 His tableau of images from that period remind us of our reactions to the disaster, with the flag serving a symbol of collective hope in the midst of strong national division. 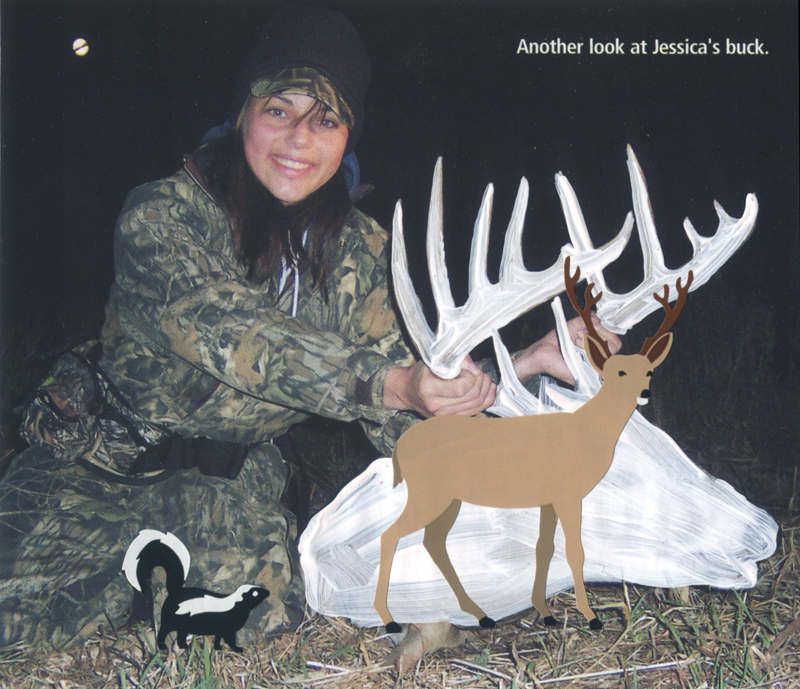 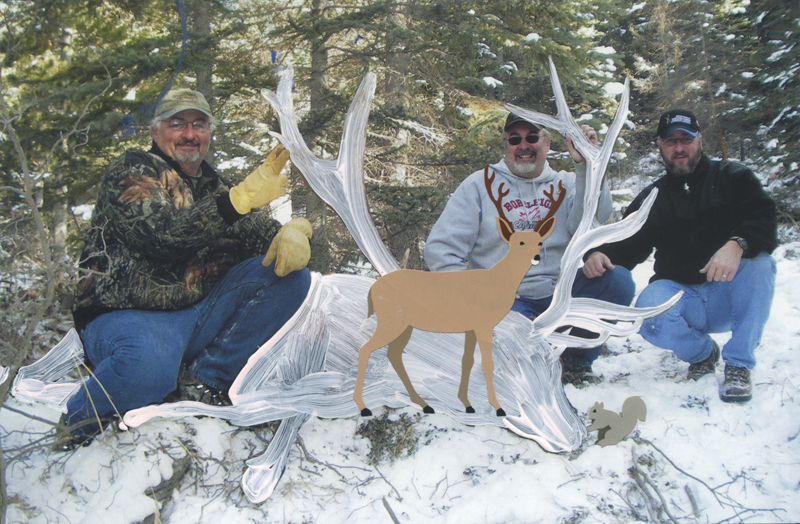 Jessica Langley presented a series of collages in which she altered appropriated imagery of trophy sport hunting. 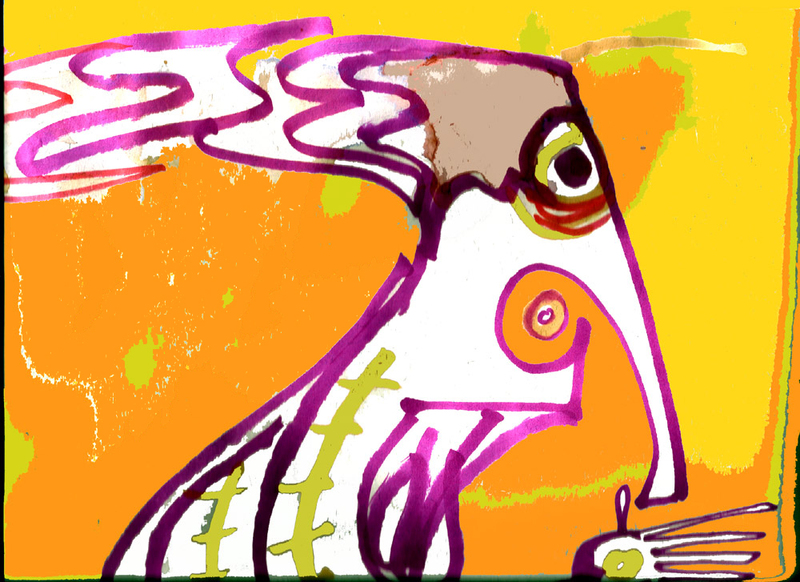 Kirsten Ervin presents an assortment of mixed-media work exploring color and whimsy realized through an intuitive process of “automatic” drawing. 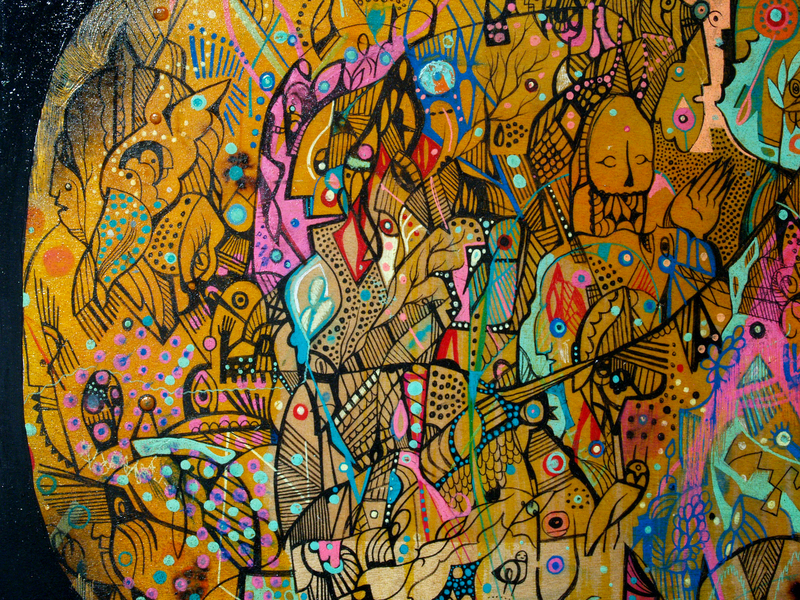 LEX Covato presented painting combining pop culture with metaphysical reflection. 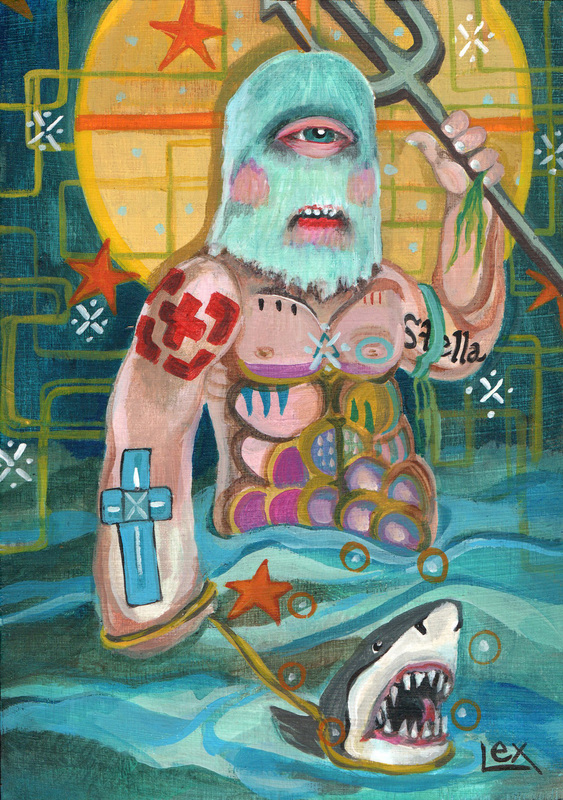 Covato weaves together mythology, psychology, and religion in an illustrative manner encouraging the viewer to contemplate as well as laugh. 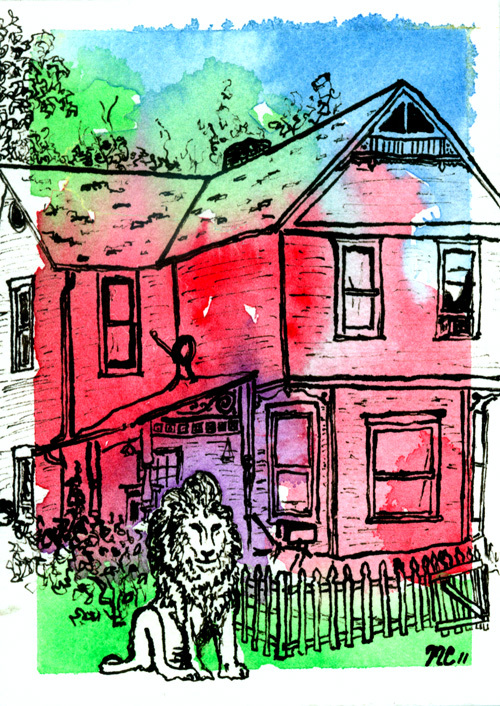 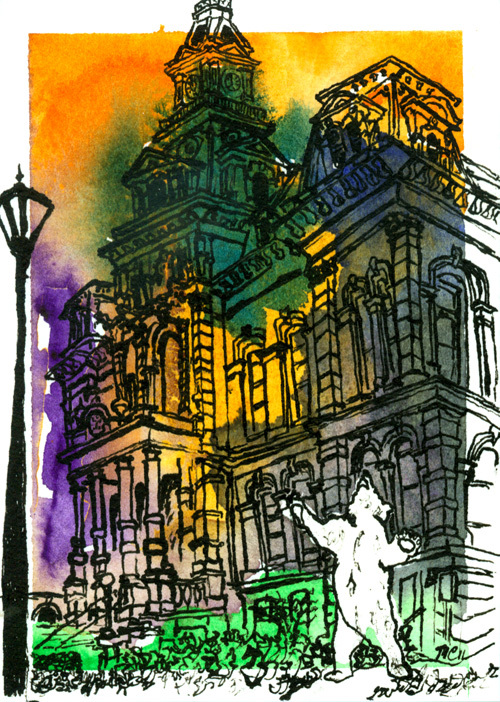 Mike Cuccaro presents some new cityscapes in watercolor and india ink inspired by the recent bizarre events around Zanesville, Ohio. 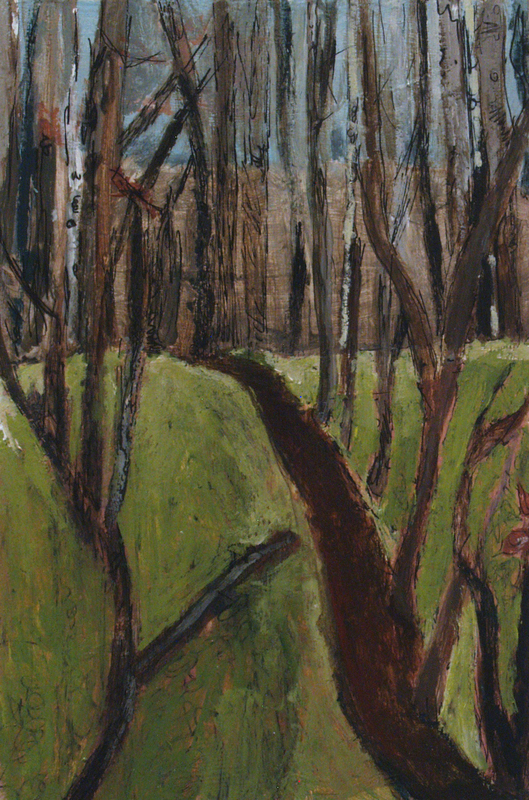 Nicole Sarver presents a selection of acrylic paintings in which she thoughtfully renders the unnoticed microcosms of Pennsylvania’s unspoiled wilderness areas. 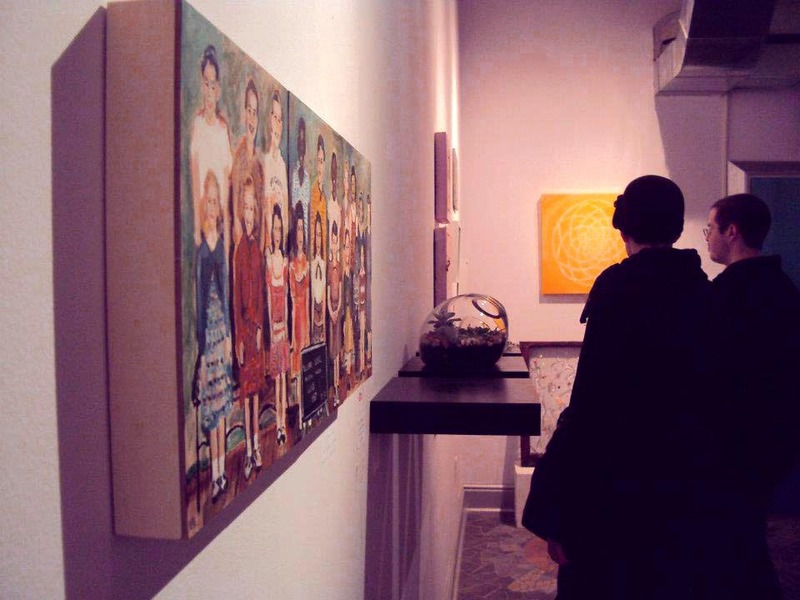 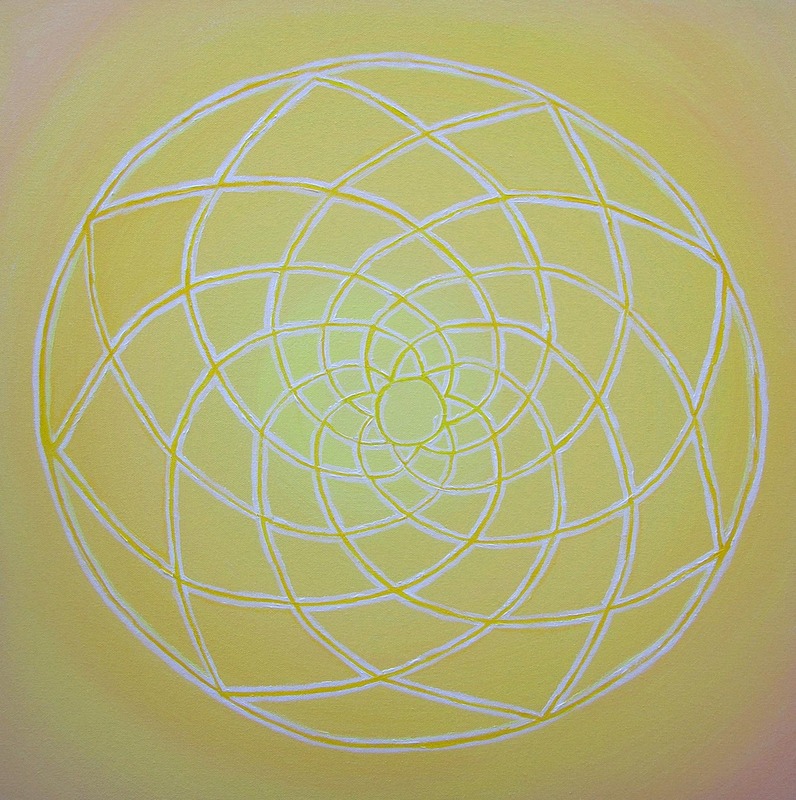 Claudia Giannini’s work explores our connection to the natural environment. 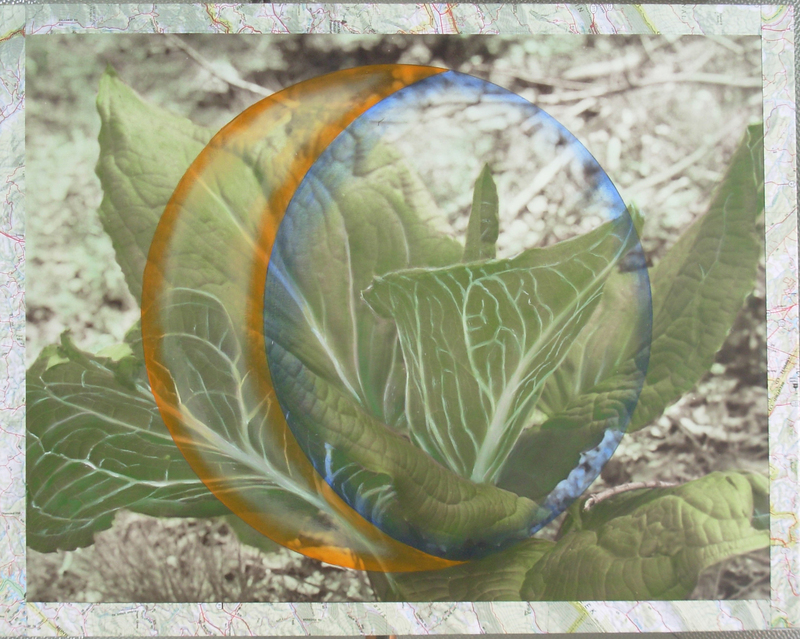 Using imagery of native plants in Appalachia (working in a technique that includes hand printing and toning photographs) along with archetypal symbols for the elements of nature, she creates delicately crafted photomontages. 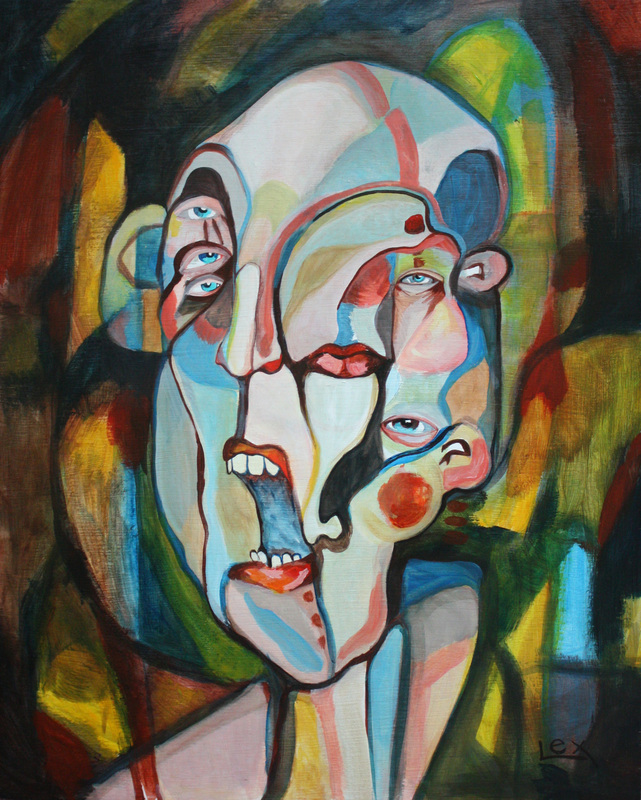 Steve Smith creates visionary images based on current events and personal moments.